We have been working for clients either based in or active in the Italian market since many years before the opening of our Milan office in 2011. We have built a team of specialists based in Milan and London, who have an in-depth knowledge of the market and region. We have a team of more than 100 Italian-speaking lawyers who are integrated across our global capital markets, high yield, M&A and banking practices and are an integral, often long established part of their business communities, giving clients access to US, English and local law capabilities. We offer clients, based in Italy or doing business in Italy, the benefit of our global experience, local knowledge and practical experience, implementing a local team integrated with our international capabilities and offices in order to deliver quality and innovative service. We differentiate ourselves from other firms by providing a truly cross-border providing to our clients. Virtually all of our transactions involve more than one office, and our lawyers are comfortable dealing with the idiosyncrasies of such complex transactions. We cover the full spectrum of capital markets services, M&A expertise, banking, structured finance and antitrust/competition advice. We are regularly top tier ranked in international and Italian legal directories and enjoy leading positions in all major league tables. Our US, English and Italian law securities team is unique in its offering and one of the largest in Italy. We routinely represent issuers and investment banks on complex capital markets transactions covering all capital markets products, including high-yield bonds, eurobonds, US and Euro private placements, EMTN/GMTN programmes, retail/Italian law bonds, subordinated bank bonds, liability management exercises, IPOs, rights issues, secondary offerings, block trades and equity-linked products. We also have a leading Italian securitisation team working as lead counsel with domestic and international banks, investors and raters on a broad range of public and private securitisation transactions of different asset classes, including RMBS, CMBS, consumer loans and leasing as well as on securitisations of distressed assets. Our M&A practice regularly represents Italian and international corporates in relation to domestic and cross-border transactions, as well as foreign corporates and private equity firms on their investments in Italy. 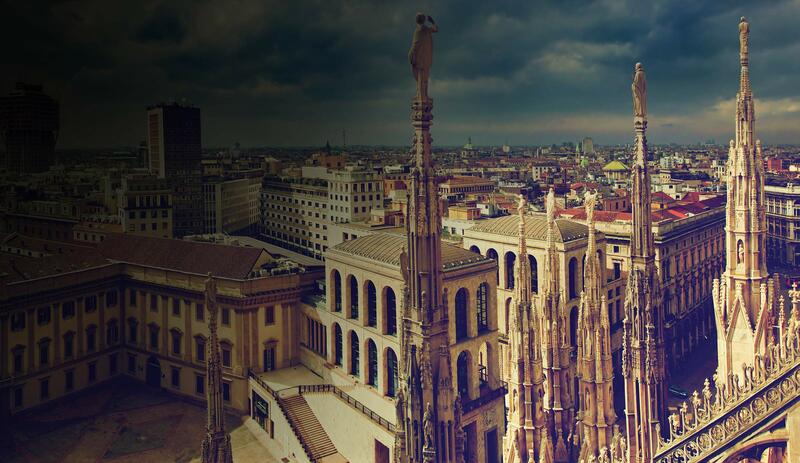 The team is one of the very few Milan-based M&A teams able to provide on a one-stop basis Italian, New York and English law capabilities on the ground in Milan and to offer a strong public M&A Italian law capability. Our Italian banking and finance team provides integrated Italian, English and US law advice of the highest quality. We have experience at all levels of the capital structure, and we have advised on some of the most sophisticated financings in the European market. We have extensive leveraged finance capability, delivering integrated bank/bond advice to underwriters and issuers, advising a wide range of non-bank investors and funds on all leveraged finance trends, including senior/bridge/bond commitments, private high yield and evolving intercreditor arrangements, as well as on new financing originations, restructuring, refinancing, distressed acquisitions, non-performing loan portfolio acquisitions, private equity and special situations. White & Case antitrust and competition practice is consistently ranked as one of the world's top competition practices in terms of size, breadth of practice and significant victories. We are recognized as one of the world's top competition practices by leading international authorities on competition law and practice, including Global Competition Review. Our Italian team has extensive experience in the area of EU competition and regulatory law and regularly advises European and international clients before the European Commission and national competition regulatory authorities, as well as civil and administrative courts. Our lawyers also provide strategic advice on the feasibility and authorization of complex joint ventures, mergers and acquisitions. As we continue to invest in our Italian practice, we are looking to recruit Italian-speaking US qualified lawyers (two to five years PQE) and English-speaking Italian lawyers (trainee to three to five years PQE) across the capital markets, corporate and M&A practices. We are also interested in hearing from Italian qualified bank finance lawyers. All applicants should possess the ability to develop and strengthen strong client relationships, be team players and look forward to the prospect of being part of a team that expects and encourages business development from an early stage. All currently available positions are posted online. Even if there are no open positions that fit your qualifications, we will keep your CV on file should an appropriate position arise in the future. If you are a student at a Law School or if you have recently completed your Law Degree, we would appreciate if you could attach your transcript to your résumé. Your application will be reviewed by our recruiting team. The recruiting process encompasses a first screening and some interviews that will feature a mix of technical legal questions, questions about professional goals and desires and “get to know you” questions. We endeavor to reply to every application we receive. As we receive many applications every week, we will do our best to send you a reply as soon as possible. The interview process usually takes up to several weeks.